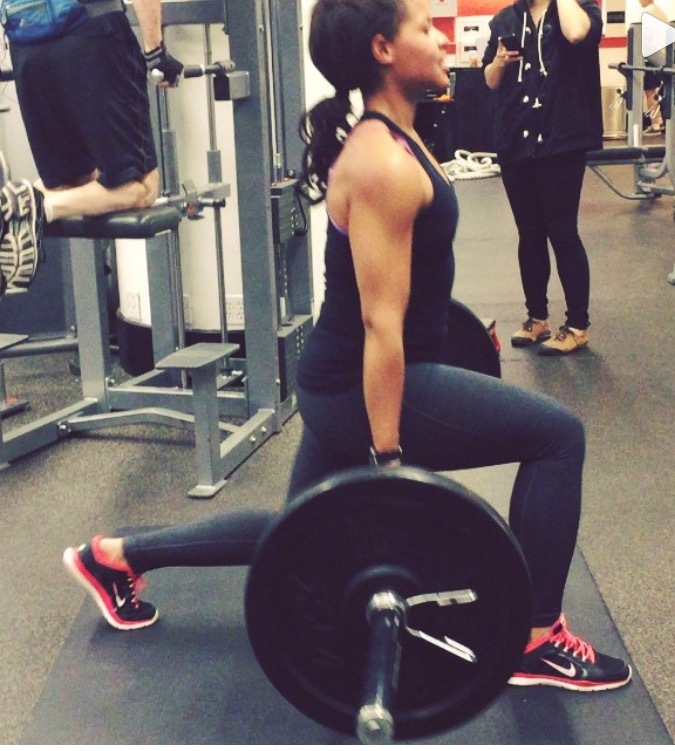 Women and the Truth about getting Bulky! I have been in the fitness industry for eight years and a trainer for five of those eight years. And one of the top things I believe woman say to me when they begin a training program is I want to “tone but not be bulky”. I hate to say this but it is just an automatic eye roll for me (in my head of course). Not because of what they are saying but because of all the misguided information out there that makes women believe in a few short weeks they are going to be tearing through their button downs like the hulk. The average woman wants to be fit, healthy, lose weight, and depending on the person have nice arms, work their core or want a J.LO booty. All of these things are attainable without losing femininity and of course curves. Weights shouldn’t be something that is feared but that is embraced by women. Strength training for women can help with a whole host of medical issues like weight management, bone density (which is vital after a certain age) and create muscle mass that can help with day to day life. Oh no did I say create muscle mass!! Yes, I did, muscle mass is a good thing. However, many women do not see it as such. I think it might have to do with the word “mass”. If a women was to truly get bulky she would have to workout 6 days a week lift extremely heavy weights and probably add a few unhealthy supplements (if you catch my drift). As women we naturally hold more fat in our bodies because we are the child bearers. So, busting out of your shirt won’t happen easily. “Women have 5-10% of the testosterone of their male counter parts”. (NASM)That’s it! So, it would be super difficult for a women to get bulky. When I first started working out I feared the weights and didn’t know where they were located in my local gym for almost a year! But, when I noticed my results plateaued from my usual cardio routine. I realized I needed to add some weights. I did it 1-2 times a week and now I am a 4-5x a week girl. I’m still a cardio junkie at heart but I love to lift heavy things. It just gives me a sense of empowerment and like I can achieve anything. However, I am by no means big and bulky but I am lean and firm, not everywhere because we are all a work in progress but I definitely love the benefits of lifting weights and the way it transforms my body. Here I am working on a split squat with 95lbs for 10 reps. for 4 sets. I am not bulky but I work on strength and definition. Now I am not saying that lifting heavy weights is for everyone nor should every women do it. To each her own. But, the advice that I would give a women looking to “tone” or what is actually increasing her muscle mass. Is to work on strength endurance training. This mean you are training for strength and the number of reps you’re doing is between 12-15. If you can go past 15 reps you should increase your weight. The better you get you will be able to increase your weight and see the results you are looking for, and maybe progress into hypertrophy training (I’ll discuss hypertrophy training at a later date). Strength endurance is a good starting point for someone wanting lean muscle strength and the visual of a fit tone body. And if you start increasing your weight drop the reps to 10-12. If you are still a little skeptical about the weights or using heavier weights then just make sure not to give up on your cardio routine (which you should be doing along with your strength training) but in case your not add it back! And you won’t have to worry about the bulk!! I hope this helps break down some of the myths and hesitations women have when it comes to the weights. Happy Lifting Ladies !! Previous Post DIETS, DIETS, DIETS!!!!!! Next Post 9-5’s How to balance Work and Working out!